There's a reason why Birmingham Hippodrome's annual pantomime is known as one of the very best, because, well, it IS! This year's production of Cinderella, which stars an impressive cast, is no different. With a lifetime supply of glitter, as well as incredible costumes and outstanding sets, the panto is, in my eyes, the best one yet. Producer and director Michael Harrison is very selective on which panto's he works on. The one being at the London Palladium, and the other being right here in Brum. That, and heading along to the panto on the day that Birmingham was named the host of the Commonwealth Games, made me incredibly proud to be a Brummie. The production, which is taking to the stage at the theatre until the end of January 2018, is everything what a panto should be, and more. The show doesn't go too much into the Cinderella itself, instead it is full to the brim of hilarious scenes which left the audience in fits of laughter, which completely makes up for the lack of story line. 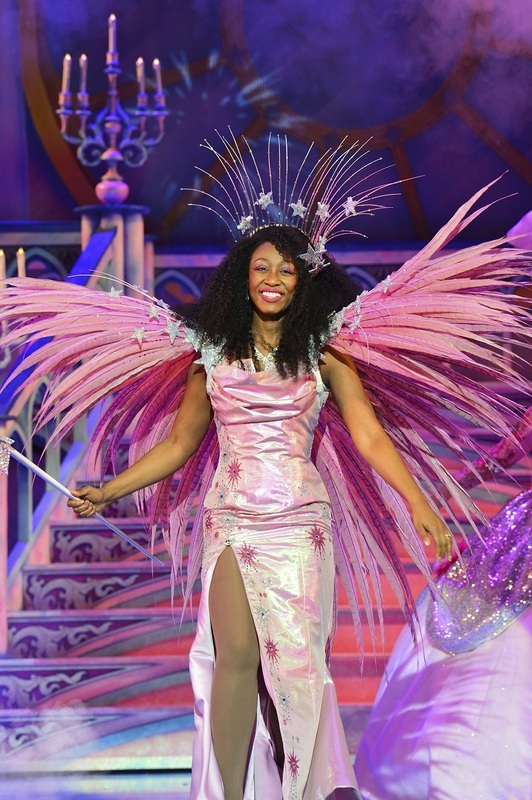 The show began with pantomime newbie and local lass Beverley Knight, who completely owned the role of The Fairy Godmother, singing her heart out and flying out into the crowd. 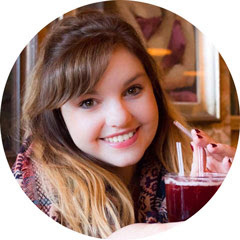 For someone who has never been in a panto, she was a complete natural and took it all in her stride. Not only did she put on a fantastic performance and had the audience in the palm of her hands, it was amazing to feel like we were at our very own Beverley Knight concert. She even ended the panto by getting the whole crowd up on their feet and singing Whitney Housten's I Wanna Dance With Somebody. Taking on the role of Cinderella was the wonderful Suzanne Shaw, who suited the role incredibly well, and was transformed into a real princess right in front of our eyes. 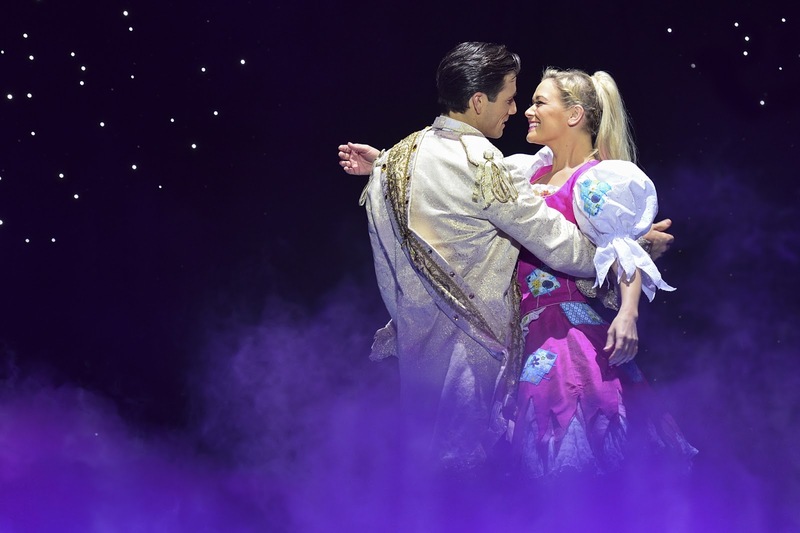 She was joined on stage by Danny Mac, who took on the role of Prince Charming, with a twist or two. Much to the audience's delight, Danny Mac danced his way through the evening, really bringing something totally new and exciting to the stage. The chemistry between Suzanne and Danny was actually very believable too and they worked very well together. However, the star of the show was by far Matt Slack, who is celebrating his fifth year in a Hippodrome panto, this time as the role of Buttons. With his wonderfully unique sense of humour, he completely owned the stage throughout the whole production. As well as bringing the traditional pantomime elements, he also kept the show totally on trend, with I'm A Celebrity and politics themed jokes which felt very current and really worked. His scene with Amazon's Alexa was simply comedy genius. Another scene that was absolute gold was comedy duo's The Grumbleweeds scene where as they sang along with Beverley Knight, and everything goes wrong around them. WARNING: audience members do get slightly wet in this scene! Although the whole show was absolutely hysterical, there was a great mixture between adult and family friendly humour, which left each member of the audience happy. The set itself was another huge highlight of the show, with magical flying horses and an incredible carriage, as well as a trip to the Prince's ball and many more. As well as the set, the costumes were just mesmerising! Cinderella's two ugly sisters had so many outfit changes, with each of them being amazing, and Suzanne looked incredible in her princess gown. If I could change anything about the show, it would be to have seen a bit more of Suzanne Shaw and Danny Mac, as they weren't actually on stage for that long at all. However, I really couldn't doubt any other aspect of the show. With plenty of Birmingham based jokes too, it felt like a really welcoming and local panto, yet on a huge production scale. 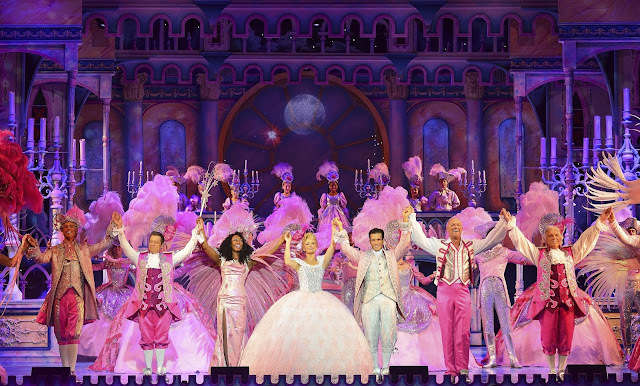 Cinderella at the Birmingham Hippodrome is an absolute must see. As well as being incredibly enjoyable, it is the ultimate feel good show and a wonderful way to get all the family together.